our legal team is committed to protecting victims’ rights. 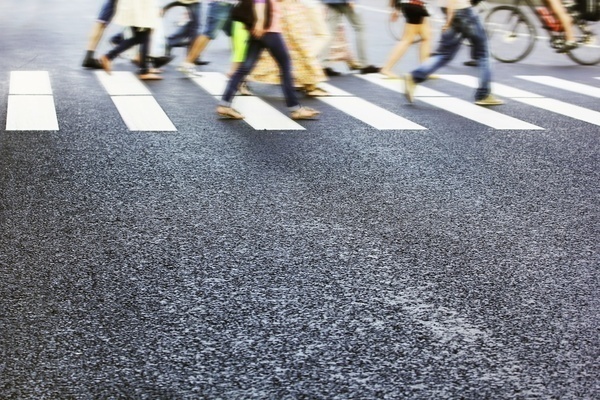 The National Safety Council estimates that nearly 5,000 pedestrians are killed in motor vehicle accidents each year and nearly 80,000 people are injured. Many of these fatal and injury-causing accidents happen when drivers of cars, trucks, and buses don’t yield to the right of way of pedestrians at crosswalks and intersections. The operator of any motor vehicle has a duty to exercise reasonable care under the circumstances. Whether a pedestrian is an adult crossing a busy city intersection or a schoolgirl crossing a road on her way home, it's the responsibility of the driver to be vigilant. Driver inattentiveness is the primary cause of most pedestrian accidents. A vehicle going only a few miles an hour can seriously injure a pedestrian or cause permanent disability or death. Though the driver of a motor vehicle is typically considered liable in pedestrian accidents, it can be shown that you were crossing the street illegally or you were in any other way violating the rules of the road, which can jeopardize your claim. If you or a member of your family was struck by a motorized vehicle while walking on the side of the road, a sidewalk, parking lot or in an intersection or crosswalk, let the experienced personal injury attorneys at Johnson Janklow Abdallah, LLP, review your case, explain your rights, guide you through the legal process, and aggressively represent your interests.